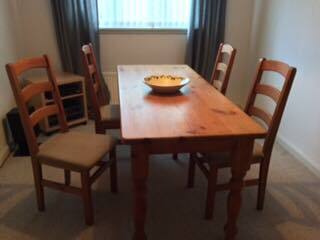 Large Pine Dining Table and four pine chairs. Table is 810cm x 75cm and the chairs have been recovered in a fine wool fabric. All sensible offers considered.